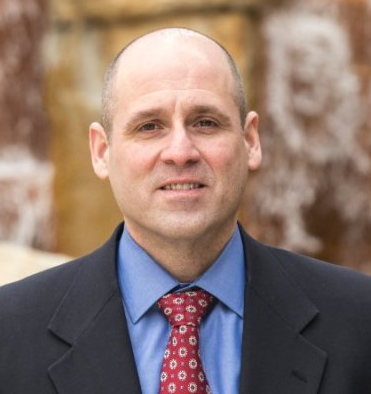 Todd Dunn is the Director of Innovation and runs the Intermountain Healthcare Transformation Lab, which is working to foster innovation in the healthcare industry. He’s now run several Lean LaunchPad classes and has seen a ton of healthcare startups. Here’s his advice for startups in this space. I have spent the last 10 years in the Healthcare space. Over the past couple of years as Director of Innovation for Intermountain Healthcare I’ve mentored and worked with many Healthcare-focused startups. During that time I have seen teams that really seem to understand the industry and those who are relatively uninformed. Our healthcare system is complex, under intense regulatory pressure, the pressure of the aging population, reimbursement changes, and an oncoming shortage of clinicians, among other challenges. It is in need of innovation on many fronts and is also trying to embrace the amazing amount of innovation happening with early-stage companies. Yet, I have noticed that many healthcare startups make “leap of faith assumptions” as they try to build their businesses. Let me highlight the 7 deadly healthcare startup sins! Sin 1: Healthcare startups assume hospitals will let them host patient data in “their portal.” The reality is that healthcare customers know that startups’ portals are likely hosted by AWS, Azure, or Google, and therefore pose security and privacy concerns. My reference points on these startups are digital health startups and small device startups that gather data from patients remotely. Many startups make the key assumption that hospitals will trust their data to a startup’s “cloud” for the long term. For a proof of concept or pilot this may be OK. For the longer term it may not be. The only way to know for sure is to test that assumption by getting out of the office and talking to customers. Sin 2: Startups assume that clinicians will be willing to access yet another portal for their data. Basically, startups make assumptions about clinicians’ workflow that may be myopic. In completing their Business Model Canvas some startups assume that a clear value is having their solution hosted in the cloud but often overlook the workflow impacts from a value perspective. The challenge is that many of them haven’t done enough “get out of the office” work to understand how their proposed solution will or won’t fit into a healthcare provider’s workflow. Doctors and nurses want more time with patients. In addition, doctors have many data points for making decisions. Having to go to multiple places for data about one patient reduces the time they can spend with each patient and complicates sound decision-making. The “job to be done” is to diagnose and prescribe. One pain that doctors and nurses want to avoid is going to multiple locations to get the needed decision support data. Clinical decision support needs to be simplified. Going to another portal for patient data is simply onerous. If your solution reduces the time a clinician can spend with a patient or makes it harder to make a decision you have reduced the value. Sin 3: That one doctor or hospital lends enough credibility for other organizations to simply accept a startup’s solution. Many startups believe that if they have a doctor on their team or as an advisor (the idea of having a KOL – Key Opinion Leader), or if one hospital has written a letter of support, they have credibility. The reality is that it doesn’t suffice. More homework needs to be done. Healthcare regulations, processes, and delivery approaches often vary from system to system. A broader base of KOL’s would simply lend credibility to the solution’s applicability across multiple customers. “Getting out of the office” and talking to customers is a necessary endeavor to get these deep and broad insights from KOL’s. I recommend that teams get a least five KOL’s to support their value claims. This isn’t just about conducting 100 customer interviews. 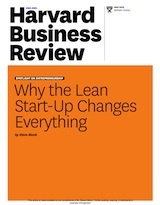 This is about getting evidence that Key Opinion Leaders agree that the value proposition offered by the startup can be realized. As Steve recommends, use an MVP to get evidence that validates those opinions. Sin 4: Believing that ONE key leader inside a hospital is the decision-maker, influencer, etc. all in one role…. 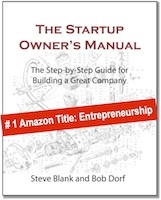 The Startup Owner’s Manual clearly articulates the need to understand “how” a company buys a product. ….Most startups I see want to go directly into a pilot and many want to speak directly with the C-level clinical leaders. Part of the weakness is that most startups aren’t asking learning questions … they are making statements vs. being curious enough to test their assumptions. and last but not least signing a contract! All of these are easily in the “Activity” portion of the Business Model Canvas and few early-stage companies fully understand these needs, especially when working with a large IDN (integrated delivery network) like Intermountain Healthcare. Sin 6: There isn’t anyone else out there solving the problem. A large percentage of startups struggle to answer the question, “Why do current solutions fail?” This suggests that they haven’t completed a petal diagram to look at the existing offerings, or analyzed the “job” that someone needs to hire a solution for. As an example, a med-adherence solution approached us recently and offered that there wasn’t “anyone” else with a technology like theirs. That may be true…not likely. I suggest that teams thoroughly think through this. Sin 7: Believing that startups need to have more answers than questions. Almost unanimously startup teams want to have an answer for every question. I understand their desire to appear knowledgeable. But you don’t get out of the office to have answers – you get out of the office to ask questions. This goes back to a fundamental that I believe all startups need until they truly know: curiosity. My advice to healthcare startups. This often tries the patience of entrepreneurs. 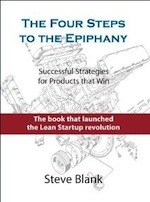 I cannot overemphasize the need to use the learning loop in every single part of the Value Proposition and Business Model canvases. The only way to do that is to GET OUT OF THE OFFICE! Be curious about workflow and how large IDNs (integrated delivery network) like Intermountain Healthcare are thinking about the integration of patient data into a workflow. Be empathetic to your user. Study the industry more deeply. While you may have a great value proposition for one or two hospitals, how does your solution fit into the regulatory landscape, workflow, etc. of multiple hospitals? Listen! Assume you don’t have enough evidence to scale your business yet. Act like you don’t know enough. While an entepreneur’s “go get ’em” attitude is appreciated, it isn’t appreciated when the entrepreneur isn’t open to feedback, seems to have all the answers, and has a condescending attitude toward the way “jobs” get done today. Test your assumptions! Come loaded with questions that are related to your assumptions. Best of success! Healthcare needs innovative startups and innovative startups need the knowledge and access that Healthcare can provide. Very well said, Todd and thanks Steve for posting this article. It is very important for an entrepreneur that do not start any process based on your own belief or rather any assumption. Get out of the building and talk to your customer that is the mantra for successful business. As a startup company we agree with every “sin” mentioned in this post but this is nothing new because this applies to every startup in any industry. Healthcare is a different beast and no one has been able to disrupt it. Google, Microsoft and many more have tried and failed but then how many things Google and Microsoft have disrupted beyond their core businesses. Please remember industries are never disrupted by insiders. Everything this article teaches is evolutionary not disruption. Disruption usually takes outsider who can find a way to challenge status quo without directly challenging established players. Amazon did this in retail. How many of us were comfortable using credit cards online in 1995? Today, you probably do not even know the exact number of companies keeping your credit information on their server. Similarly, resume used to be a secret document and no one shared it with the world. LinkedIn changed all that. I can go on for a long time to give you examples of Yammer, Slack, Zenefit and many more who are disrupting industries they have no business to be in. Healthcare is following newspaper publishing industry so it is not difficult to look into its future. Thanks for sharing the nuances of healthcare sector. You are right on target. Great truths here for many young startups! Another the way I explain the “Value Proposition” to startups is to be able to fully understand and explain the difference between (1) Who Pays for their tool, (2) Who Uses their tool, and (3) Who Benefits from their tool. In healthcare, the incentives are often not aligned – and the smart startup will fully understand and have a business plan that makes sense. Nothing turns me off quicker than a company that expects a doctor to pay for and use a tool, when all the financial benefit then accrues to another party. These are clear downfalls for digital Healthcare startups delivering software solutions. However, would these “sins” still be applicable to Healthcare startups delivering Medical devices? Geneally, greater focus is on hardware functionality than the desktop application the device communicates with. How does this change the contributing factors for startup failure? Carlos, from my view these principles and approaches are applicable to any one of the four healthcare focus areas and startups within them. This is the right advice but it’s for the wrong time for most healthtech startups — at least those thinking about the Lean Startup/Business Model Canvas. 99% of the time, startups should NOT be looking at health systems for early traction. There is what I call a “shadow” healthcare system that has huge investment, rational decision processes and modern technology adoption approaches. It’s instructive to study the early days of digital media businesses that disrupted another local oligopoly/monopoly business (newspapers). They were easily discounted when they were small (but getting exponential growth). While newspapers worried about other large media companies (or perhaps Microsoft), it was death by a 1000 papercuts that was their undoing. Media consumption and ad spend was chipped away by Monster.com, Cars.com, craiglist, ESPN, Yahoo Finance and later Google, Facebook, Groupon, etc. Paradoxically, the fastest way to get deep penetration inside of incumbent healthcare systems is to work with the myriad organizations that are chipping away at the over-built hospital infrastructure (did you know in the U.S. we have 3 beds/1000 people whereas most experts say we need 1.1-1.6 bed/1000 — funded by what looks to many as a revenue bond-funded bubble but that’s a whole other story). Even though I’m a tech industry guy, the most interesting disruption taking place is the healthcare delivery disruption. Most of it is in the shadows but make no mistake it’s happening in a big way. One small example – retail clinics didn’t exist 10 years ago. Now they are getting between 10-20 million visits per year and are backed by some of the deepest pockets (Walgreens, Walmart, CVS, etc.). There are many other examples beyond this. I expanded on this meme recently about how my startup (acquired by WebMD 2 years ago) overcame bad advice from investors who suggested we focus early on with large health systems despite my better judgment. Final note: The mere fact that Intermountain is participating in Lean Startup classes is testament to the fact that they may be among the 1% of health systems worth working with in the early days of a startup. Also, it’s huge that they are both a payer & provider. As one commenter said, it’s a universal truth that most startups are better off working up the food chain (i.e., starting with smaller customers and moving up to larger ones over time). We saw this time and again in my revenue traction consultancy. Very helpful insights Todd, and thanks for sharing Steve. As a former Start-up Exec, turned Board Member and Consultant, your points resonate with me. Also for start-ups, consider that IDN’s are exploring defensive and offensive strategies. Many of those strategies are not visible, until a conversation develops with the IDN. Consider that IDN’s have the tools and talents to manage risk and care across the continuum, which can be valuable assets in health transformation. They might take small steps, with a payer or employer, and over time that segment grows. Thank you Steve for sharing this insight. My experience with Innovation in Healthcare has made me realize things that you have so nicely articulated. There is a need to understand the real gaps and not what is perceived, unfortunately perception is the driver of ideas in the current set up and yes that isn’t right for healthcare.